Start by parting your hair on the side. 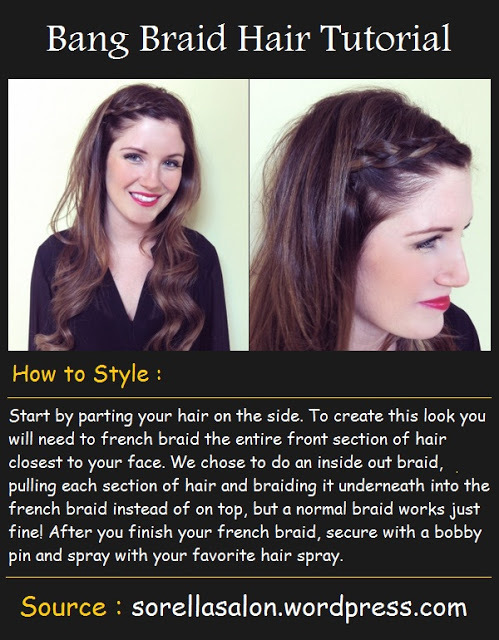 To create this look you will need to french braid the entire front section of hair closest to your face. We chose to do an inside out braid, pulling each section of hair and braiding it underneath into the french braid instead of on top, but a normal braid works just fine! After you finish your french braid, secure with a bobby pin and spray with your favorite hair spray.